Under normal circumstances, a film would earn demerits for being a haphazard, befuddling mess. And yet in the hands of director Paul Thomas Anderson, the confused state of Inherent Vice never detracts. In fact, its what makes the film so enjoyable. In many ways, watching Vice was like watching really good opera. I had little to no idea what was happening at any given moment, and yet I was awestruck by the quality of what was reaching my eyes and ears. Here’s the plot, as best as I can describe it. 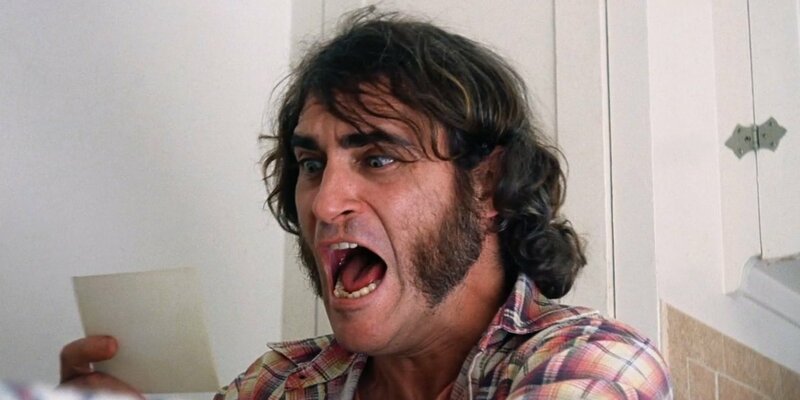 Set in the groovy, drug-soaked streets of 1970’s Los Angeles, Inherent Vice follows Larry “Doc” Sportello (Joaquin Phoenix in glorious mutton chop sideburns) a hippie private investigator with a notepad in one hand and a joint in the other. He’s asked by an ex-girlfriend to look into the disappearance of her new squeeze, a real estate titan, and in the process the girlfriend disappears, a few people are murdered and at least one man comes back to life. There’s also smuggling ships, trampoline accidents, prostitution rings and one angry, hippie-hating cop, played by Josh Brolin with a flat top. The movie unfolds less as a narrative than a kaleidoscope, with a constantly shifting display of shapes and colors that are only loosely identified and all obscured by an omnipresent drug-fueled haze, held in place by an expansive and incredible cast of A-listers from Owen Wilson to Reese Witherspoon and Benicio Del Toro. It’s an atmospheric period piece, gleeful in its self-prescribed freedom for exploration, like a saxophone solo or interpretive dance. It’s ebbs and flows for more than two hours, perhaps a touch too long, bouncing along to its own rhythm but held together by Anderson’s firm directorial hand. If you’ve seen The Master, you’ll have an idea of what kind of abstract experience to expect form PTA’s latest. But while Master was heady and played in a minor key, Vice is light and undeniably funny, with an effervescent retro-pop charm that slips past you unnoticed. It’s the lava lamp of movies, a hypnotic visual treat that effortlessly demands your attention. *Inherent Vice opens in Salt Lake City on Friday, Jan. 9.